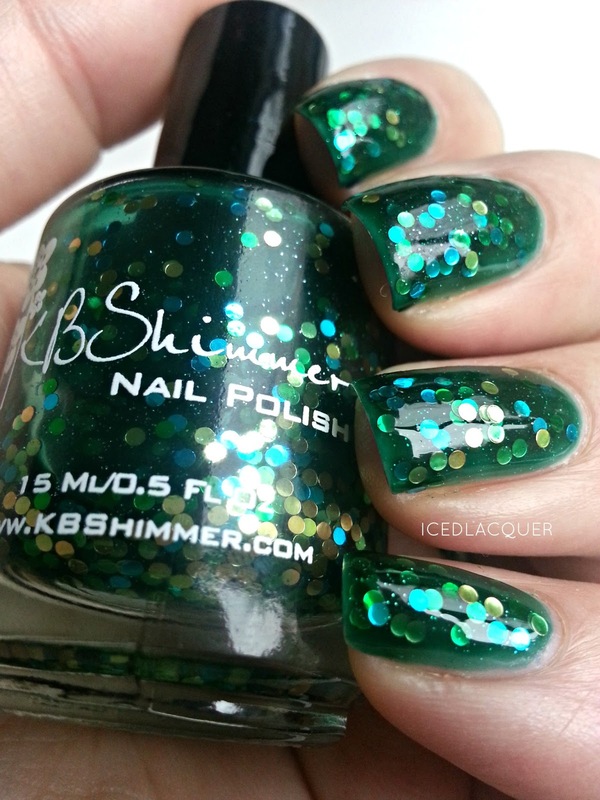 It's time for some new spring KBShimmer polishes! Are you excited? Because I certainly am! 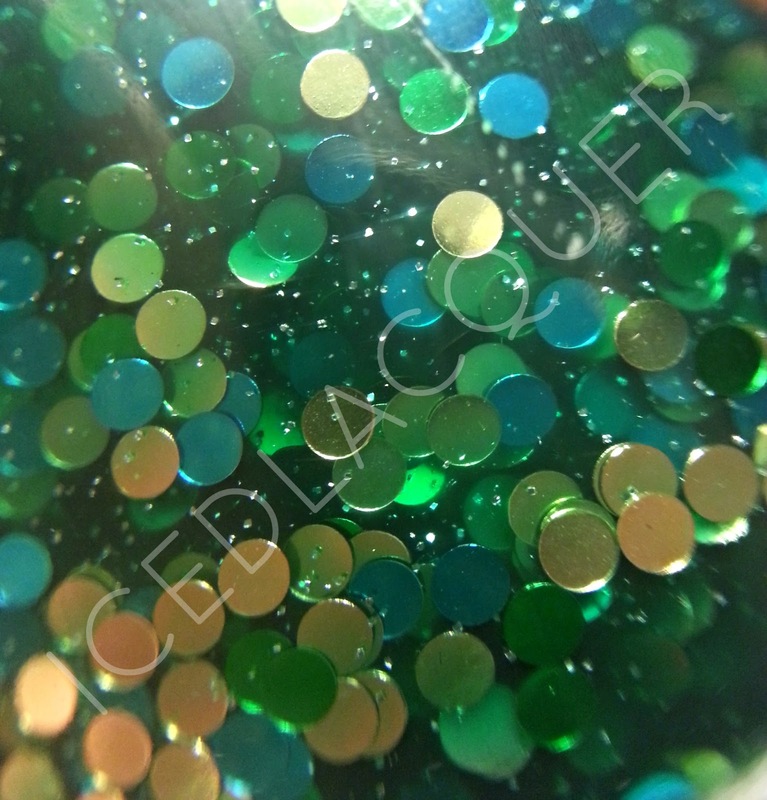 The first one I have for you is the green jelly, circle glitter filled masterpiece called "Get Clover It." When I first saw the press release, this was the polish I was most excited for. 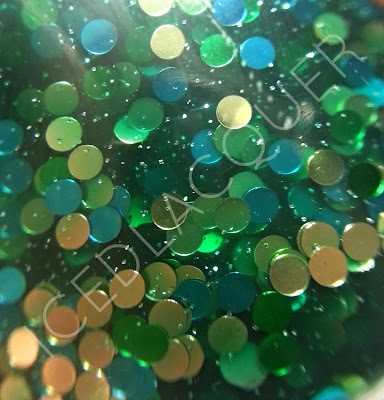 I've been drooling over all the new polishes with circle glitter, I LOVE anything emerald green, plus it's a jelly. So much win. 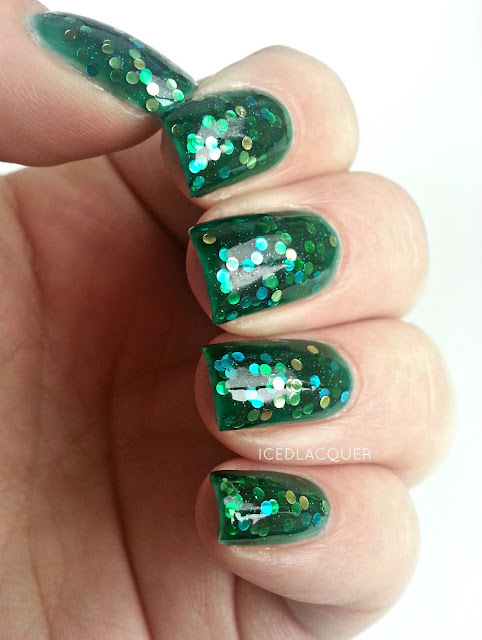 KBShimmer "Get Clover It" - In addition to the green, gold, and turquoise circle glitters, this dark green jelly also sports lots of tiny glitter to give it some extra sparkle. 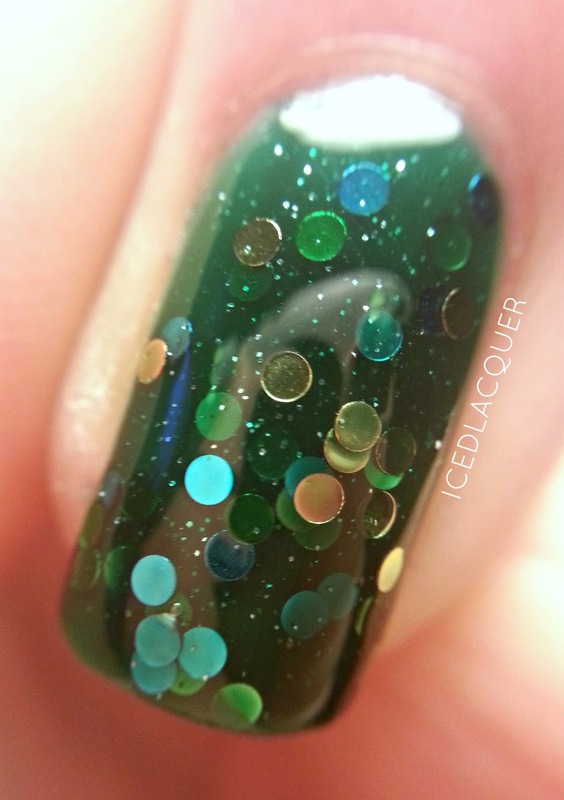 Because it has a jelly base, you can create an amazing feeling of depth between the layers of glitter and shimmer. Macro shot on the nail! I have to be honest, I was kind of scared when I applied my first coat. The first layer doesn't cover much and I had to do a tiny bit of dabbing to manipulate my glitter. By the second coat, I was breathing a sigh of relief as the opacity was building up quite nicely. I had great opacity at three coats, but added a fourth just for some extra glitter. Be sure to check back soon for my photos and review of some of the other polishes in this upcoming collection! Thanks for reading!